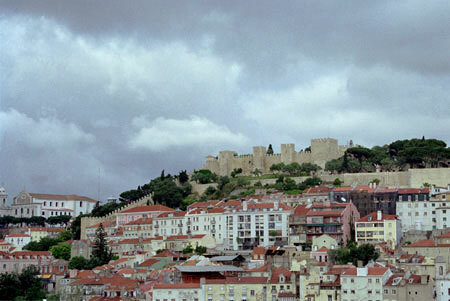 Lisbon is a so hilly that you need abrupt transport to go from one neighborhood to another. There are two such contraptions. 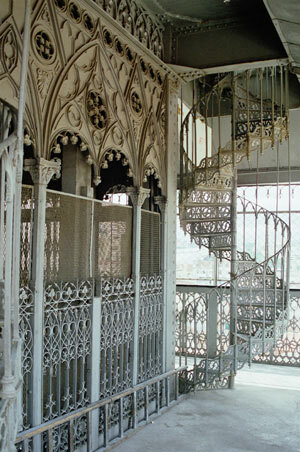 This elevator was designed by Raoul Mesnier du Ponsard, a disciple of Mr. Eiffel. 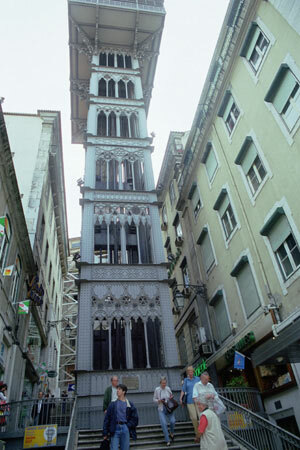 The elevador has elaborate iron work, and 2 cars that bring people up and down. 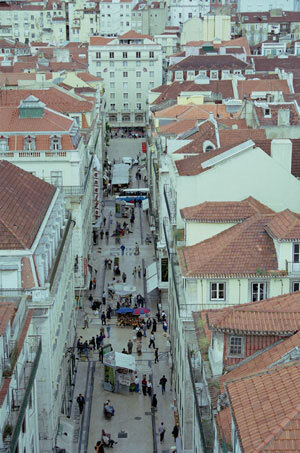 Right now, the other side is closed, but you can still go up and down to experience the view of Lisbon. When you get to the top you can climb a spiral staircase to a restaurant on the roof. Your table is right at the edge, so it pays to forgo the beer and stick to Perrier. The other elevador, the Elevador da Gloria, is down the road a bit. That one is a trolley car pulled by a huge cable. To keep the passengers upright it has a wedge bottom, and looks like an enormous platform shoe from the 1970's. 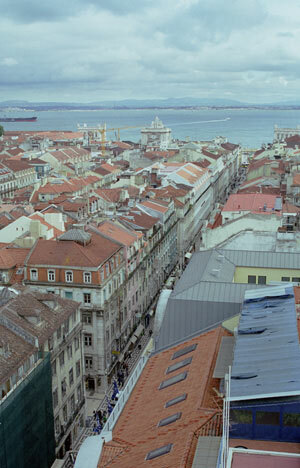 By the way, behind this structure and to the right is a bakery where I tried pasteis de nata for the first time. 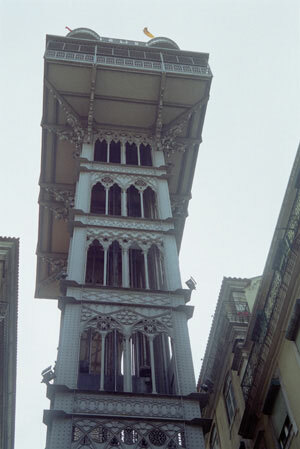 The top of the elevador. Sorry about the wide-angle view, but I left my cherry-picker at home. Igregia do Carmo (Church). This is where the elevador leads, though the passage was closed during this visit. The only place to go from the top is back down again. 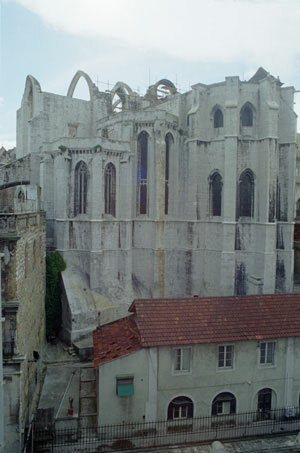 The church was ruined in the earthquake of 1755, and the renovation project that closed the passage was to fix damage from a huge fire in 1988.